These presentation slides 29891 are complete compatible with Google Slides. Simple download PPTX and open the template in Google Slides. 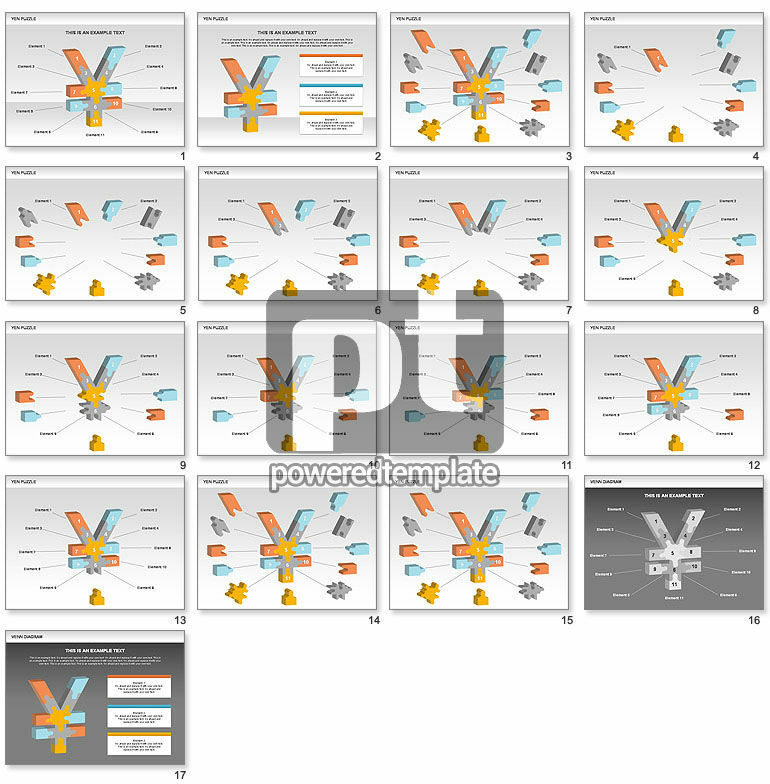 Yen Puzzle Diagram will be ideal to describe financial statement of Japanese Yen in presentations on Japan, financial statement of Japan, investing in Japan, investment, etc.